Unbeknown to John Pearce, the private letter he is delivering on behalf of the prime minister carries the dismissal of the very man he is sailing to see. Politics intervene in matters of the sea and the need for a government majority to pursue the war with France means John Pearce must step down as Britain’s best sailor, regretfully relinquishing the position to the incompetent Admiral Hotham. 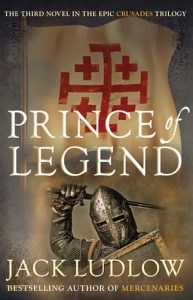 Hotham is equally less than pleased about John Pearce, as he is the one person who knows the truth about his dishonest and wicked naval career. 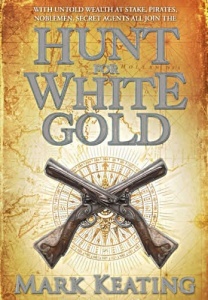 Pearce knows Hotham will try and destroy him any way he can to keep from being exposed, so he must navigate the dangerous waters whilst trying to return to Emily Barclay, the woman he loves. High adventure and detection; cunningly spliced battle scenes which reek of blood and brine, and excitements on terra firma to match. Book features : Black boards with gold coloured text on spine, white endpapers. 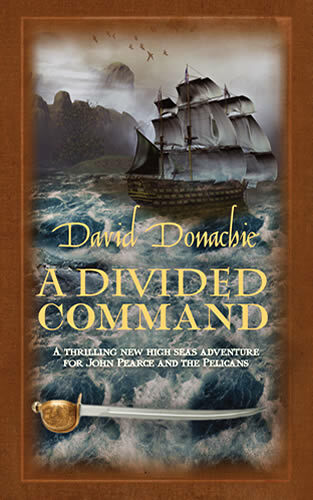 A Divided Command – action and adventure on the high seas – is book 10 of the John Pearce navel series.